GingerSnapCrate makes it easy for you. 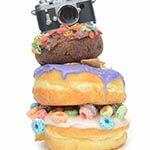 Upload your images or link us to a photo gallery. If you want a certain picture to be used make sure you leave a comment stating that you want that image otherwise our designers will carefully select images to be used. The thank you cards are one of the many gifts you could possibly receive in the box BUT if you do happen to want to order thank you cards, you may purchase a customized order! You can coose between folded or flat cards in 2 different sizes 4x6 or 5x7. Each box comes with 50 custom designed thank you cards printed front and back on premium quality smooth cardstock. Envelopes are included and it comes wto you in a stationary box to help keep your cards organzied so you always have a thank you note handy every time you need one. We have a very select few items that are available for customized orders and thank you cards happen to be one of those items. Thank you notes are a more personal way to thank somebody and they mean a lot more than just some text that will most likely be deleted. 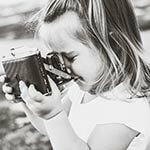 That beautiful picture you took could be printed onto thank you cards and could be saved for a lifetime. Who wouldn't want to receive a beautiful picture along with a sweet hand written gesture? 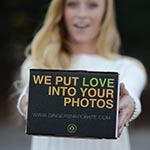 Make thank you mean something again with GingerSnapCrate.com!